Everyday, we are saturated with messages to do “more”. In the gym, you are told to do more reps and you will get stronger. In school, you are told to write more and your writing will improve. In sport, you are told to practice longer and you will surpass your competition. In sales, you are told to make more calls and you will inevitably sell more. “Keep going”. “Just a few more minutes”. “Make five more practice swings”. “Run through the drill set once more”. These are just a few examples of the constant overload we receive in life about the importance of quantity and how it will result in some sort of gain. I could take this blog piece in several directions but for now, I would like to focus on family and my experience with quality versus quantity. As many of you know, I have relocated to Budapest, Hungary, which is anything but a stone’s throw from Sarasota, FL, USA, where my mom and brother live, along with part of my extended family. My decision to leave Sarasota (in support of my husband and his new work venture) was so exciting for us as we considered what was waiting for us on the other side —a new country, new place to live, new foods to try, travel opportunities and so much more. However, the exciting days ahead of us had a price tag as well, leaving behind my loved ones. I would no longer have the luxury of weekly family dinners, time on the boat with my brother, sister-in-law and niece, impromptu lunches with my mom, extended family dinners with aunts and cousins, holiday celebrations surrounded by family or even chats with my mom or brother on my way to work each morning. I knew the transition would be tough, especially on my mom, but I also knew we would find ways to adapt. My mom departs Budapest tomorrow to head back to Sarasota. She (and her good friend Reeny) have been here since Friday and we have had an absolute blast together. My mom was also here back in May and again, we were able to have a wonderful time together. My mom and I are very close. We always have been. I miss calling her every morning while I ride to work. I also miss my last minute invites to meet her for lunch. I miss seeing her more often and not having to plan well in advance to see her. Heck, I even miss her help with laundry every now and then (kidding)! But in all seriousness, where we now lack the quantity together, we have gained so much more quality time together. As I write tonight, I have learned to enjoy the time we have together and be present in those moments. 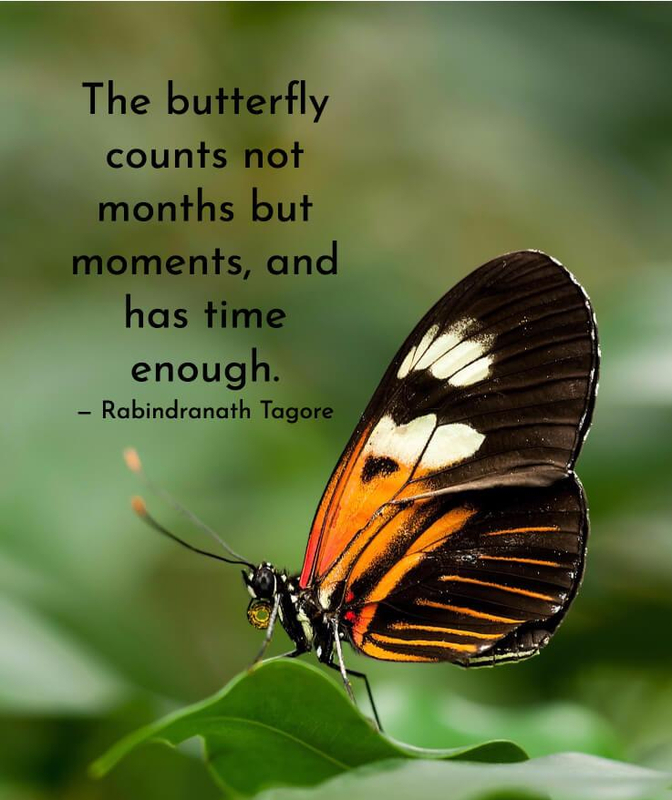 Just as the butterfly suggests, it is not the months we should cherish, it is the moments. That alone, is enough.